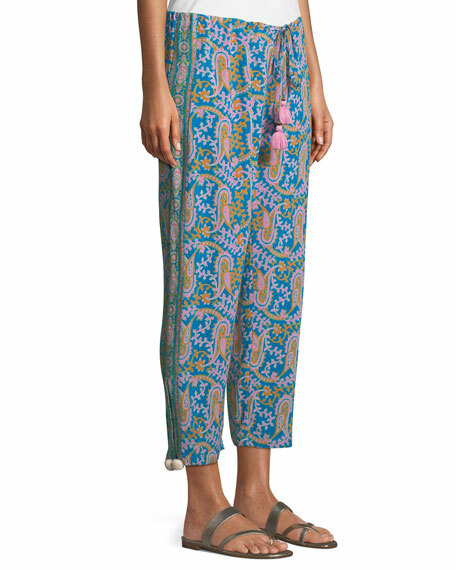 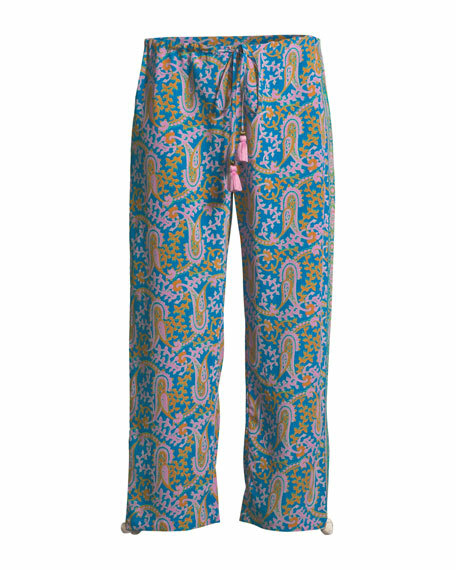 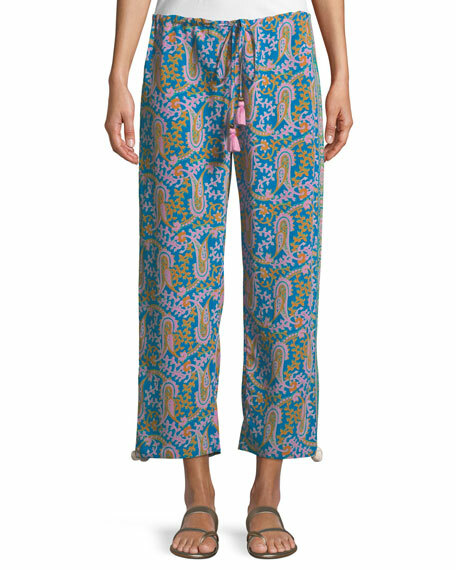 Figue "Goa" pant in Bahia Beach paisley-print. 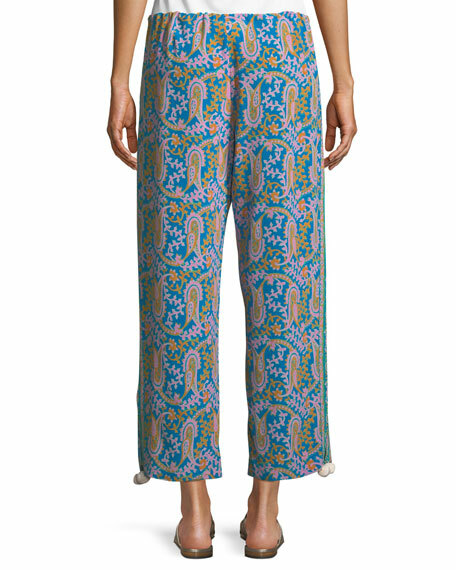 Split hem with pompom trim. 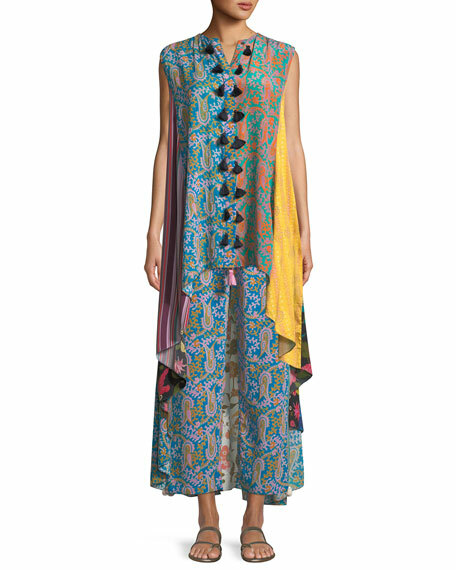 For in-store inquiries, use sku #2412790.